Introducing: Body Unburdened Beauty Blends! Well the day has come for me to officially announce something that I’ve dreamed about for years now. I couldn’t be more excited to introduce you to Body Unburdened Beauty Blends — blended and bottled by yours truly. They’re finally here! When I first started this blog over 5 years ago now, I had absolutely no idea where it would take me. 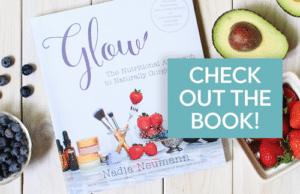 I went from researcher documenting my own health and wellness journey to non-toxic living advocate to Nutritional Therapy Practitioner and health coach to author. Somewhere in between I become a Face Oil Junkie. But I didn’t just slap some argan or jojoba oil on my face and call it a day. Oh no no. I’ve studied and researched dozens of different face oils over the years. I love knowing about the different vitamins and minerals in the different oils. Which oils are especially high in those anti-aging all-stars vitamins A and C, and which fall flat. How each oil absorbs into the skin. Now I know, a passion for face oils may sound a little strange. But the heart wants what the heart wants! And for a very long time now, my heart has been wanting to bottle my very best blends and make them available for all of you here on Body Unburdened. OK and a lot of you have been asking me to do it, too! For years, I’ve tweaked the formulas and the labels. But for years, I’ve pushed it back and pushed it back because I’ve been scared. Scared to take the leap. It’s a whole new business, one that has taken me months of hard work just to be able to write this blog post. Body Unburdened Beauty Blends are the product of my many, many years of research and testing. These small-batch, hand-blended face oils are made with the highest quality, organic ingredients. There are 3 blends, each for a different skin type. A lot of time and love went into creating these blends! Before offering them to you all, I sent them out to a test group to use regularly for 2 weeks and report back about performance, scent, and any questions they had. And now they’re ready for YOU! I hope you’re as excited as I am! And of course, please let me know if you have any questions. I’d be more than happy to help you decide which blend is best for your skin or for a loved one! Can you help me figure out which oil is right for me? I am a 53 yo female and have had breakout prone skin most of my adult life. At this point, I mostly breakout on my chin but occasionally under my nose. My skin is obviously aging but also somewhat sensitive and combination (dry cheeks, a little oily down the center. I’d love to try your blends! Thank you. Hi Nadia! I’m so ready to try one of your beauty blends, but can you advise me which one I should get? I have super-sensitive combination skin. I get clogged pores on my nose, hardly ever break out, but in this weather I’m also so dry I look like I have a rash. My skin reacts to everything, even “sensitive skin” products. So I’m not sure which blend would be best for me. What do you think? Thanks! Hi, Lisa! 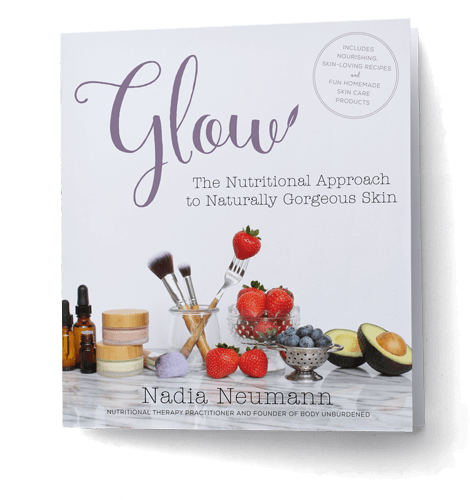 Unfortunately I do not but they’ve received GREAT feedback so far and if you do not like them for your face for whatever reason, you can always apply them to your neck… which is so often neglected and could always use some extra love! Like Marci, I have mature skin (60 yrs old) and oily, acne-prone skin. Would it work to use both blends #2 & #3 together? Or use one in the a.m. and the other in the p.m.? Thank you. Hi, Francine! If acne is your main concern I would go with Blend No. 2 or No. 1 (which is meant to be the best of both worlds – anti-blemish and anti-aging). And the best part is, both are filled with antioxidant-rich oils and so have anti-aging benefits from that angle as well! I am navpreet 34 years . My skin is very sensitive and have a one blemish spot on my left cheek and i tried many drugstore creams to clear this mark but unfortunately those creams had hydroquin in that which made this area of face super sensitive . I dont have so much acne but occassionaly some breakout may be one or two . I am looking for something anti aging as well .kindly suggest me which oil blend will be best . First let me say how much I love your blog/FB/IG!! I’m so excited as I recently ordered your numbers 1 and 2 face oil blends. But I’m wondering when I will receive them. I downloaded the Arrive app so I would receive info about delivery but haven’t heard anything. Nor was there any info at checkout. Please let me know how this works. This is the first time I’ve ordered from you.